‘Like it or not, nursing associates are here, so let’s give them a chance’. This somewhat grudging headline appeared last month in a nursing journal – not, I should add, in Nursing Standard. This less-than-fulsome welcome for nursing associates speaks to what is, at best, an equivocal stance on the new role among some in the profession. With two years’ training, and regulation by the Nursing and Midwifery Council, the new role will sit at band 4 in the NHS. Despite a stuttering start – which employers blamed on the need to meet ‘backfill’ costs as recruits left the workplace for training two days a week – the target for 5,000 nursing associates to be in training in England in 2018 was achieved. There is now a target of having 7,500 more trainees in 2019, and around 40% of the first completing cohort reportedly intend to study further to become registered nurses. 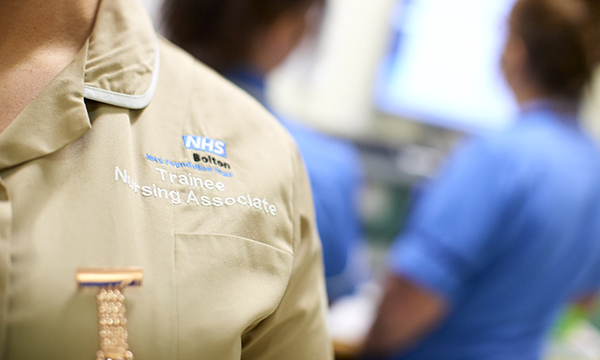 With 40,000 vacancies for registered nurses in the NHS in England, and a shift to a loan-based system freezing out potential mature entrants to degree-based nurse education, it is not difficult to make the case for the associate option. More than 20 years after it ended the education of enrolled nurses, England has evidently had to invent a replacement. The United States, Canada, Australia, New Zealand and many other countries continue to educate two levels of nurse – enrolled (or licensed) and registered. This can give broader, but regulated, skill mix options to healthcare systems looking for the most viable blend of nursing skills, notably in long-term care. Whether you regard the nursing associate as a new role or a reinvented old role, a threat to the professional status of nurses or a valuable new nursing team member, one point is clear: if the system gets its act together and expands places, and with a backdrop of registered nurse shortages, the associate role is likely to thrive – like it or not.